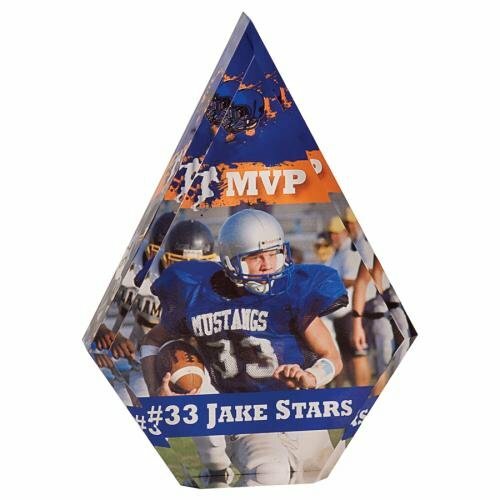 These acrylic stand-up plaques offer the endless possibilities of color artwork with the durability of 1" thick acrylic. Include a photo, logo, or other color image, along with text of your choice to create a unique gift or award the recipient will treasure. Available in two sizes, these plaques include image placement and up to 100 words of text.